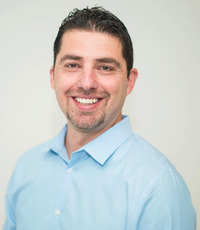 Dr. Niko Pagoulatos is currently the Chief Operating Officer at EchoNous, after previously holding senior technology leadership positions of increasing responsibility with Siemens Ultrasound and Fujifilm SonoSite. He has a 20-year track record as a successful innovator in the ultrasound industry, with many widely-adopted inventions and products in the spaces of point-of-care ultrasound and 3D/4D ultrasound. After graduating with his Bachelor of Science in Physics from the University of Athens (Greece), he moved to Seattle, WA, where he completed his graduate studies at the University of Washington receiving a Master of Science in Bioengineering in addition to a Master’s and PhD in Electrical Engineering. His interests at EchoNous are focused on leading the R&D and manufacturing efforts of innovative AI-driven ultrasound-based medical tools.